Halfway through its term, how’s the government doing? The GSLP/Liberals are now halfway through their second consecutive term of office. An opportunity to dust down their 2015 election manifesto and fill in their mid-term report. At the time the manifesto was written the European Union referendum loomed over the horizon but it’s probably fair to say most people, including the Gibraltar government, thought the UK would opt to stay in. The opposite result, when it came in June 2016, threw a major spanner in the works. The chief minister has conceded that the £1 billion Blue Water project highlighted in the manifesto did not materialise because the developer got cold feet when the UK voted to leave the EU. And it’s understandable that talks to review and modernise the 2006 Constitution, a manifesto pledge, have been put on the back burner as both governments focus on dealing with Brexit and its consequences. Still, responsible governments have to be prepared to deal with worst-case scenarios and in his personal message in the manifesto Fabian Picardo acknowledged as much. 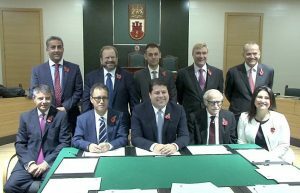 He said a re-elected GSLP/Liberal administration would “continue to work to understand the potential economic impact of leaving the EU and/or leaving the Single Market”. And it’s doing so, both at a local level consulting with the finance and business sectors and the unions and bilaterally with the UK through the Joint Ministerial Council. So far Brexit doesn’t seem to have impaired the government’s ability to progress its main capital investment projects. Medical and residential facilities to care for the elderly and for Alzheimer’s and dementia patients have been created or improved. Last month an ambitious schools programme was announced that exceeds what the manifesto promised. Affordable housing schemes are going ahead, although not all flats will be ready within the present term of office. And the new power station, which the manifesto states would be “completed and operating in the next 24 months”, is now due for completion in 2018. On social media last week the chief minister praised his justice minister, Neil Costa, for “working on new legal assistance qualification requirements that meet (the) needs of the deserving”. This after a single mother who earns less than £5,000 a year was denied legal aid because she owns a flat. Had the qualification criteria been reviewed and “the appropriate changes to legislation made before the end of 2016”, as the manifesto envisaged, the woman might not have had to rely on the generosity of a local law firm that offered to represent her for free. The Fire and Rescue Service is still waiting for new premises, even though a new Fire Station was “a priority” in the alliance’s 2011 manifesto; never mind the 2015 one, according to which the government would “continue to plan the NEW fire station that will be located at Rooke as part of the redevelopment of that area”. Although the manifesto decreed that the select committee on Democratic and Parliamentary Reform should report back to parliament by September 2016, it has yet to do so. Private sector employees are still waiting for occupational pensions to be made compulsory, when the manifesto asserted they would be introduced during this term. 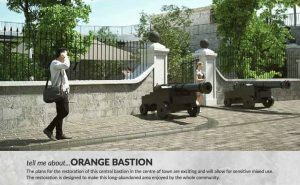 Other pending pledges include the restoration of Orange Bastion, live streaming of meetings of the Development and Planning Commission, the of Inces Hall and the establishment of an International Film Festival. There are, of course, a possible two years to go before the next election, which means the government has ample time to meet many more of its manifesto commitments. For now, I reckon a ‘B’ or a ‘B+’ may be a fair grade. 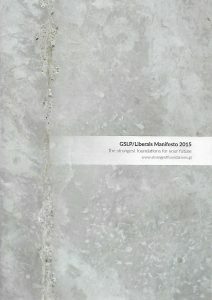 Author gibstevePosted on 25th November 2017 3rd December 2017 Leave a comment on Halfway through its term, how’s the government doing? 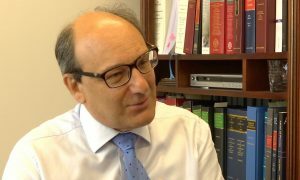 On the 2nd of November, as I predicted in this column last month, Sir Peter Caruana threw his considerable political weight behind his one-time deputy Keith Azopardi in the duel with Roy Clinton to be the next leader of the Gibraltar Social Democrats. As the elder statesman of the GSD Sir Peter has a particular responsibility to the party that he arguably saved, following the decision of its founder Peter Montegriffo to quit politics. Mr Montegriffo left the AACR to found the GSD in 1989 and gave up his opposition seat in parliament in the process. When he decided not to contest the ensuing by-election, Peter Caruana stepped into the breach. Much as Mr Clinton did following the shock resignation of Daniel Feetham last summer. Mr Caruana, as he then was, won that by-election against the AACR’s Douglas Henrich and went on to secure all seven opposition seats for the GSD in the 1992 general election. The party triumphed in 1996 and Sir Peter would be chief minister for the next 15 years. When Peter Caruana speaks, people, especially in the GSD, listen. In his personal statement in relation to the leadership contest Sir Peter recognises the abilities of both candidates. Roy Clinton filled the leadership gap with “considerable skill” and has “masterfully articulated” issues relating to Gibraltar’s public finances. Keith Azopardi, meanwhile, was a “successful, leading minister” who “has now returned to his natural political home”. The statement’s sting is in its tail. 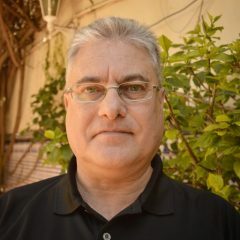 Unlike his namesake Peter Montegriffo, who in his letter ruling himself out of the contest said he would support whoever emerged as the party’s choice, Sir Peter comes down unequivocally in favour of Mr Azopardi describing him as the “better and stronger of the two candidates”. Sir Peter cites his former protégé’s “experience of party political leadership (and) of ministerial office” as important attributes. What he doesn’t mention, however, is that when Mr Azopardi was no longer under his wing and led the Progressive Democratic Party into the 2007 and 2011 elections, the PDP obtained 3.75% and 4.36% of the votes respectively and won no parliamentary seats. 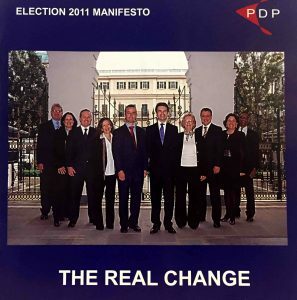 Had fewer than half the votes the PDP secured in 2011 gone to the GSD, the Social Democrats would have been celebrating a fifth successive term in office. And while experience of party political leadership and ministerial office may be desirable, Sir Peter might reflect that he himself had neither when he entered the political arena seeking the electorate’s support. Just as he would have been short of “the maximum possible experience of Gibraltar’s public affairs” that he asserts the electorate expects of a chief minister. On at least one thing Sir Peter Caruana says in his statement, though, I think most GSD members will agree. Regardless of who wins, the party would have a better chance at the next election with both Mr Clinton and Mr Azopardi in the line-up. A recent article in the New York Times caught my eye. California had just become the 15th US state to begin the legalisation of a process that I’d never heard of for disposing of a body after death. 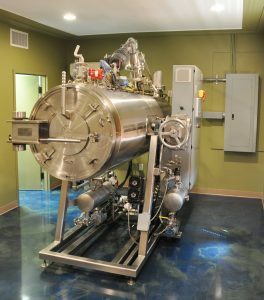 The technical term for it is alkaline hydrolysis but it goes by various other names, like flameless cremation, water cremation and green cremation. 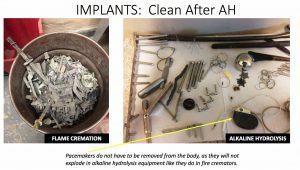 Photo courtesy Bio-Response Solutions Inc.
Basically, the human remains are dissolved in a hot chemical bath over a period of hours until all that’s left is an inert brownish liquid and soft bone, which is crushed and returned to relatives much as ashes are after a cremation. When I read that American families are requesting this more frequently in preference to cremation or burial I decided to dig deeper (sorry!). It turns out that alkaline hydrolysis has been around since the late nineteenth century, but then it was used to process animal carcasses into plant food. It wasn’t until the mid-1990s that the method was sufficiently developed to use it to dispose of human cadavers and pets. Around a decade ago the machines became available for ordinary funerals. While some people may instinctively recoil at the thought of simply flushing away what’s left of a dear relative, others find the procedure more comforting than cremation. They perceive it as gentler than having the body literally go up in flames. The chief executive of a US funeral services company that offers both traditional and water-based cremation is quoted in the New York Times as saying that more than two-thirds of families choose the latter when it’s offered. And alkaline hydrolysis has a significant benefit: it’s more environmentally friendly. Graphic courtesy Bio-Response Solutions Inc.
Liquefaction uses a fraction of the energy of a standard cremator and releases no fumes; because much less heat is required, metal implants like teeth fillings do not melt, which means no mercury emissions. 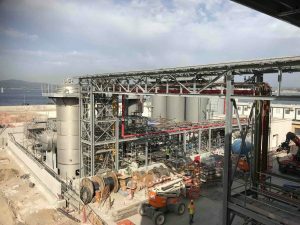 Advocates also claim the carbon footprint is one-sixth that of a burial, which requires concrete for headstones, wooden coffins and chemicals for embalming. In common with cremation it requires less storage space for the buried ashes and a family vault may be reopened at any time, whereas you have to wait a year after a burial. Important considerations in a small town like ours. As yet, the Roman Catholic Church has no official opinion on alkaline hydrolysis (like me, a local priest I spoke with had never heard of it). But it has permitted cremation since 1963 provided the ashes are buried in an urn in a cemetery or church, and not separated or scattered. There’s no reason to suppose the Church would find it more objectionable to dissolve rather than cremate a body. As far as I can tell, this relatively new way of disposing of human remains is presently legal in 14 American states and three Canadian provinces (Saskatchewan, Quebec and Ontario). It’s also legal in the UK, but not yet commercially available. So could “biocremation” become an option in Gibraltar? We’ve trail blazed in many areas, most recently the plan to host the first regulated cryptocurrency exchange in the world. Maybe we can become the first country in Europe to offer a more modern way of “encrypting” our loved ones in the future. I wonder how reassured Gibraltar Defence Police officers were by the Chief Minister’s comments on GBC Television’s Direct Democracy programme a couple of weeks ago? 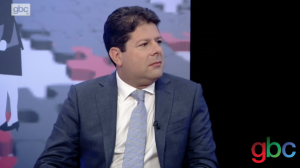 Fabian Picardo was quizzed about the state of negotiations for the transfer of the force from the Ministry of Defence to the Gibraltar Government. He pointed out that what’s being talked about at the moment is a transfer of ownership, but not yet an amalgamation with the Royal Gibraltar Police as the GDP Federation is seeking. While stating that the youngest officer in the GDP today will retire as an officer of the RGP Mr Picardo offered no timeframe, suggesting that for older officers the merger may come too late. The Chief Minister claimed that a “forced” merger now would be a disaster because by pushing two organisations together you put people’s careers out of joint. Maybe though it’s GDP officers’ noses that will be put out of joint by delaying the amalgamation: because of the ongoing MOD pay freeze, they earn 40% less than their RGP counterparts and Mr Picardo made it very clear they would not get a 40% pay rise the day the GDP came to be owned by the government. In a recent column I highlighted an international survey that suggested attitudes to car ownership might be changing, with more and more people seeing ride sharing and summoning a taxi with their smartphone when they need to as viable alternatives to owning a car. It’s a slow process though. Two-thirds of those sampled preferred to have their own wheels and I’m pretty sure that in Gibraltar, which has one of the highest car densities per capita in the world, that proportion would be higher still. On Direct Democracy, it was put to Fabian Picardo that the time for tough decisions on car ownership and pollution would have to come. He partly sidestepped the issue by focusing in his answer on vehicle emissions. In five years’ time, he mused, cars may not pollute as manufacturers switch to electricity as the main means of propulsion. Problem solved. But that still leaves traffic congestion. Whatever cars are powered by, they occupy physical space and that’s not going to change because they’re “cleaner”, or even driverless. By not addressing this aspect of the question, Mr Picardo drove me to conclude that we should not, as a community, expect to see radical measures to reduce the number of vehicles on our roads anytime soon. Direct Democracy also served to confirm that a development once hailed as the largest ever inward investment into Gibraltar is dead in the water. When it was launched in 2015, Blue Water Gibraltar was to provide more than a thousand affordable homes, 450 high-end apartments, a five-star hotel and a Super Yacht marina, among other amenities. Not to mention payment by the developers, Camoren, of an £83m premium to the government. That’s all now gone to pot. The Chief Minister said he believed the East Side project would still go ahead but in a different “incarnation” with the government itself developing a (presumably smaller) plot, perpendicular rather than parallel to the Rock as Blue Water would have been. Brexit, it seems, has made Camoren vote with their feet. Dragging them so much they never made it here. After an interlude of 15 years, and provided both they and I make it, I’ll finally get to see my favourite band once again next year! By the time I went to uni in 1976 Camel had replaced the likes of Genesis and Yes as my progressive rock idols, which they still are to this day. I got to see them during my first year as an undergraduate student in Bristol and managed to get a ticket for their gig in Paris in 1978, where I was undergoing the first part of my year abroad. It would be a quarter of a century before another opportunity arose this time, oddly, in Granada of all places. 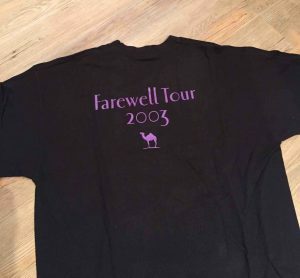 As you can see from the T shirt it was billed as their farewell tour. And for some years it seemed it might be just that. Camel’s founder, lead guitarist, vocalist and main songwriter, Andy Latimer, became seriously ill in 2007 and his future, let alone the band’s, hung in the balance. Happily he recovered and is back on the road. 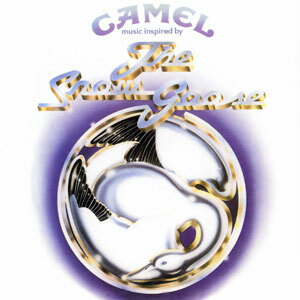 Camel’s breakthrough came with their third album ‘Snow Goose’, an excerpt from which I included in my Classic Rock Instrumentals post in August (scroll down to read it). But their masterpiece, in my opinion, is ‘Moonmadness’ which came out in 1976 and was the soundtrack to the long hot summer of that year as some of my cohort and I prepared to embark on our university careers. And it’s precisely this album that the latest Camel incarnation (only Andy Latimer remains from the original line-up) will be playing in its entirety next September in the Royal Albert Hall! 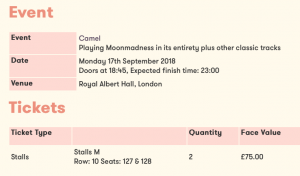 Needless to say I couldn’t resist, and was sitting expectantly at the computer, finger poised over the ‘buy’ button, at eleven on-the-dot this morning when the tickets went on sale. Thankfully I was able to complete the purchasing process in the three minutes I was given and emerged with two tickets, for me and my son who shares my love of classic rock. Do give ‘Moonmadness’ a listen, and if you like what you hear tell me. I’ll recommend other gems from the Camel catalogue. Author gibstevePosted on 3rd November 2017 3rd December 2017 1 Comment on Camel here I come!